UP TO 500 CUPS AN HOUR – ONE AS GOOD AS THE OTHER ! A really good cup of coffee is always a small work of art. But it is high art to produce this excellent cup of coffee repeatedly and at a high speed. 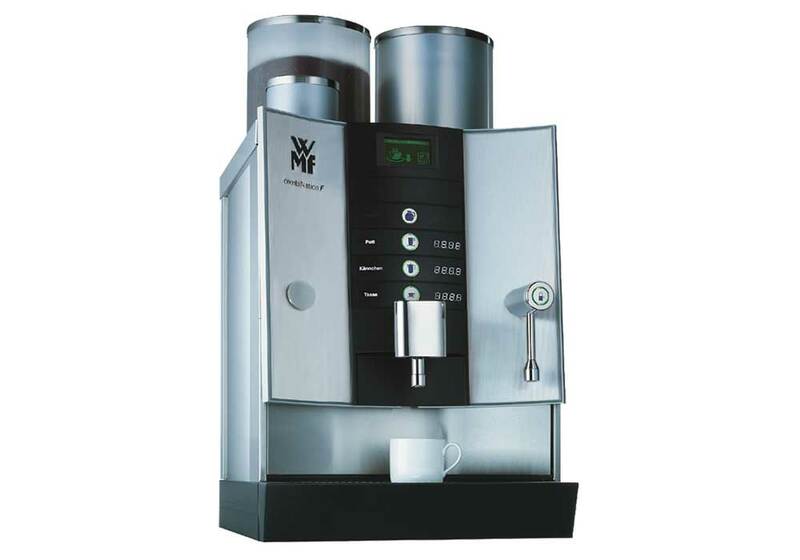 This is exactly what the WMF combiNation F specialises in. Decades of experience with brewing and stocking systems for filtered coffee combined with the latest digital technology provide for reliable, first-class coffee enjoyment. Different brewing amounts and an optional height-adjustable front panel allow for the precise filling of nearly any size container. The fill quantities are programmed individually to your cup or pot sizes. For 88 to 320 cups, mugs or glasses. With Thermostat, 4 heatable shelves made from satin stainless steel. Elegant appearance in matching design, black back. Suitable for self-service. Illumination, different colours can be set. 1kg of Cleaning Powder for manual cleaning. 1kg of Cleaning Granulate if the machine is equipped with a Dosing Device.